The flows are near 550cfs at Melrose, which is great compared to last months flows. If your floating a hard-side boat you will be doing some bumping and grinding but a boat without scratches isn’t being used right. 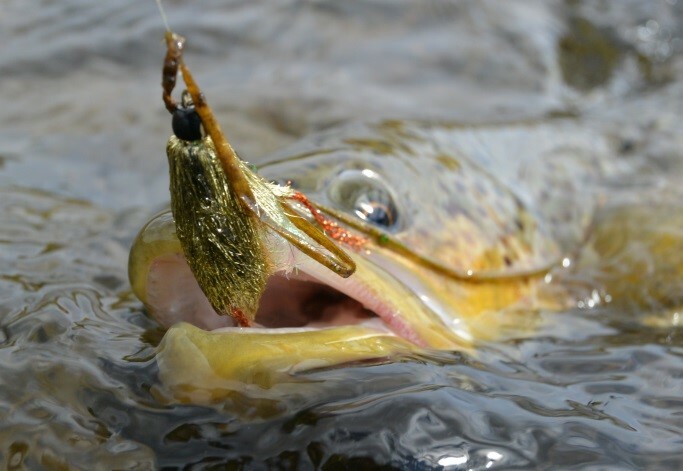 The Brown trout have been getting active for streamers now that they are getting into their spawning cycle. Be really careful out here, as with most populations of trout in Montana just a few bad eggs can cause a problem. Pay attention to reds and leave spawing fish alone. These fish have enough to worry about this time of year. The dry fly fishing is good if your not into streamers. The cool fall weather has got the BWO’s and Mahogany Duns hatching. Good places to target fish are the tailouts and egdes of runs.